Riding the school bus is a privilege, not a right. 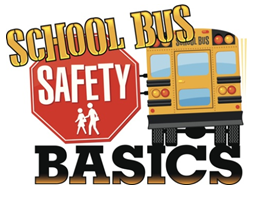 The school Transport Committee will observe student’s behavior in all school buses. Consequences for school bus/bus stop misconduct will be imposed by the school Transport Committee under adopted administrative discipline procedures. In addition, all school bus/bus stop misconduct will be reported to the school Transportation Safety Director. Serious misconduct may be reported to local law enforcement. The school Transport Committee will post school bus safety rules on every bus. If these rules are broken, the school Transport Committee’s discipline procedures are to be followed. In most circumstances, consequences are progressive and may include suspension of bus privileges. It is the school bus driver’s and bus attendant’s responsibility to report unacceptable behavior to the school district’s Transportation Office/School Office. Get to your bus stop five minutes before your scheduled pick up time. The school bus driver will not wait for late students. Stay away from the street, road or highway when waiting for the bus. Wait until the bus stops before approaching the bus. If you must cross the street, always cross in front of the bus where the driver can see you. Wait for the driver to signal to you before crossing the street. No use of alcohol, tobacco or drugs. 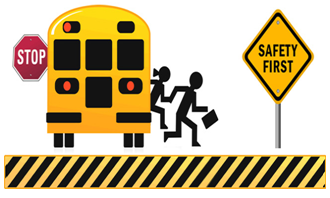 Consequences for school bus/bus stop misconduct will apply to all regular and late routes. 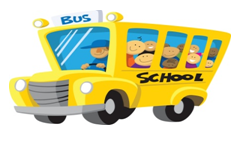 Decisions regarding a student’s ability to ride the bus in connection with co-curricular and extracurricular events (for example, field trips or competitions) will be in the sole discretion of the School Transportation Committee . Parents or guardians will be notified of any suspension of bus privileges. 2nd offense — 3-school-day suspension from riding the bus. 3rd offense — 5-school-day suspension from riding the bus. 4th offense — 10-school-day suspension from riding the bus/meeting with parent/guardians. Note-Further offenses — individually considered. 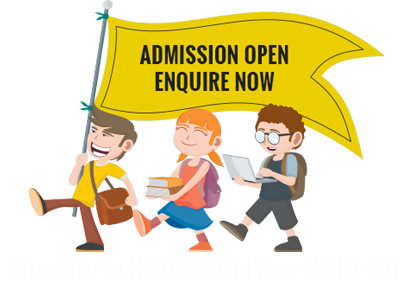 Students may be suspended for longer periods of time, including the remainder of the school year. 5th offense — suspended from riding the bus for the remainder of the school year. In cases involving criminal conduct (for example, assault, weapons, drug possession, or vandalism), the appropriate school Transport Committee personnel and local law enforcement officials will be informed. The school bus and bus stop rules will be provided to each family. Parents and guardians are asked to review the rules with their children. Have their children properly dressed for the weather. Have a plan in case the bus is late. Driving a commercial vehicle without obtaining a commercial driver’s license or without having a commercial driver’s license in the driver’s possession. All school vehicles are maintained in safe operating conditions through a systematic preventive maintenance and inspection program adopted or approved by the school Transport Committee. All school vehicles are state inspected in accordance with legal requirements. A copy of the current monthly pre-trip inspection report is carried in the bus. Monthly pre-trip inspections are maintained on file in accordance with the school Transport Committee record retention schedule. Prompt reports of defects are immediately corrected submitted. Monthly post-trip inspections are performed to check for any children or lost items remaining on the bus and for vandalism. The school board has established a “Student Transportation Safety Committee”. The chair of the Student Transportation Safety Committee is the school Administrative Officer. The school board has appointed the other members of the student transportation safety committee. 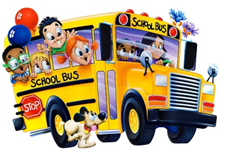 Membership may include parents, school bus drivers or representatives of school bus companies.